TEL AVIV  Yosef Lapid, among the most politically incorrect figures of Israeli politics, died of cancer Sunday, June 1, 2008. He was 77. Known to friends and foes alike as Tommy, a nickname from his native Yugoslavia, Lapid was a dominant figure among Israels intelligentsia. As playwright, journalist and commentator, he brought an old European brio to the nascent Jewish state. Memories of the Holocaust, in which his father died, gave Lapid a keen sense of the importance of Zionism. But though he came to Israel as a refugee immigrant, Lapid vociferously championed a secular Ashkenazi ideal, to the exclusion of many fellow citizens. He was especially disdainful of Orthodox Jews. Lapid was particularly infuriated that the most potent religious political movement, Shas, catered to Sephardim. Lapid ran for parliament at the head of the secularist Shinui party in 2003. His campaign openly mocked religious Jews in terms that some Israelis found distasteful, even anti-Semitic, but the strategy worked. Shinui (Change) became the sixth-largest party in the Knesset. Lapid served as justice minister in the coalition government of Ariel Sharon, memorably advocating that Israels security fence should run closer to the West Bank boundary in order to avoid taking in too much Palestinian land. Shinui eventually quit the government in a funding dispute and, shorn of executive powers, found itself marginalized as a protest party with little in the way of a positive policy to offer its electorate. Many commentators also faulted Lapid for not toning down his invective, which included referring to Orthodox Jews as parasites and dismissing a hit song by a Sephardi crooner as the sound of Tulkarm  an especially violent Palestinian town. Shinui was decimated in the 2006 election, and Lapid returned to the media, hosting a weekly radio show and making regular television appearances. He also served on the board of Yad Vashem, a position that gave weight to his frequent verbal attacks on radical West Bank settlers. Their treatment of Palestinians, he said, recalled the anti-Semites of prewar Europe. In recent months, Lapid dedicated an increasing amount of energy to defending his longtime friend, Prime Minister Ehud Olmert, against corruption allegations in the press. May those bloodsuckers choke, he told Israel Radio in reference to investigative journalists who accused Olmert of financial misdeeds or called for his resignation in the wake of the costly Second Lebanon War. Lapid died in a Tel Aviv hospital, with Olmert at the height of a bribery investigation that could force him from office. Here, today, I would like to say that Tommy Lapid was a Jew through and through, Olmert told his Cabinet in broadcast remarks. 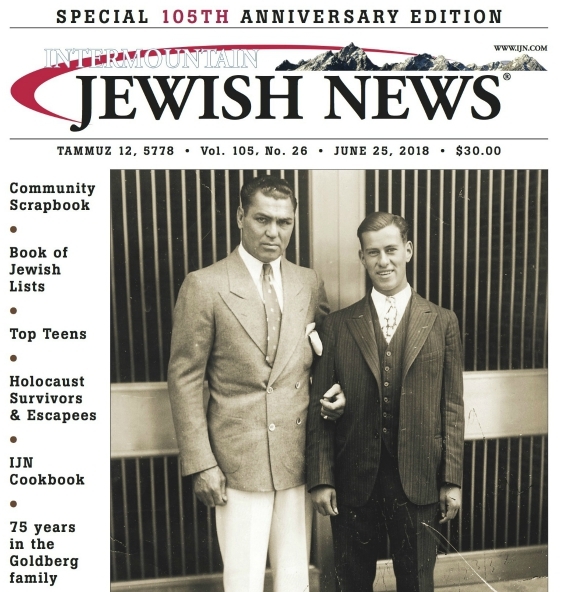 True, he never ascribed importance to the ceremonial aspects of Judaism, and more than once was sharply critical and found himself in confrontations with public and political figures connected to this. Lapid is survived by his wife, Shulamit, a playwright; a daughter, Meirav; and a son, Yair, who followed his father in becoming a major media personality. Another daughter, Michal, died in a 1984 road accident.